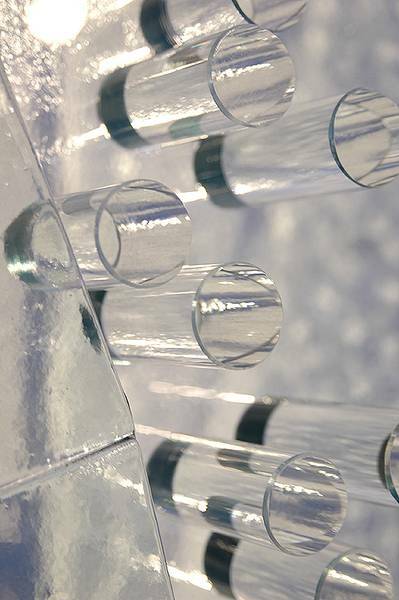 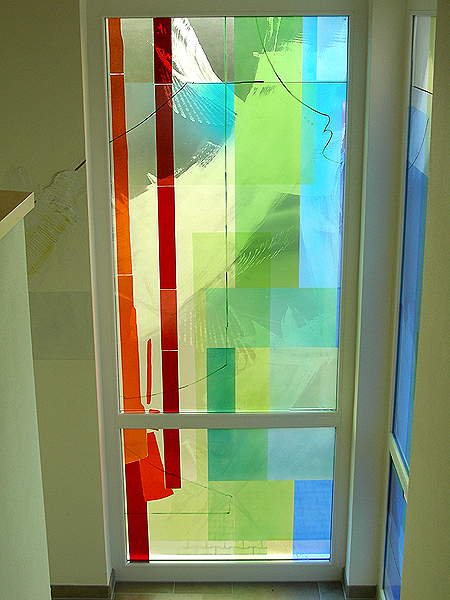 With the aid of modern, partially dual-component glass adhesives, particularly partial coloured-glass applications can be adhered well to safety panes. 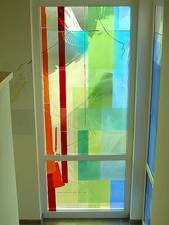 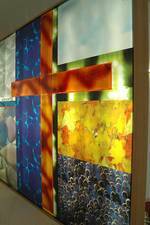 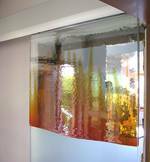 particularly coloured-glass applications adhere well to safety-glass panes. 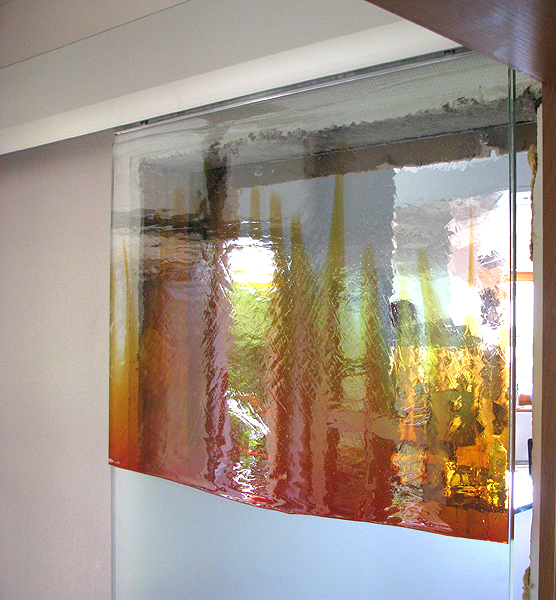 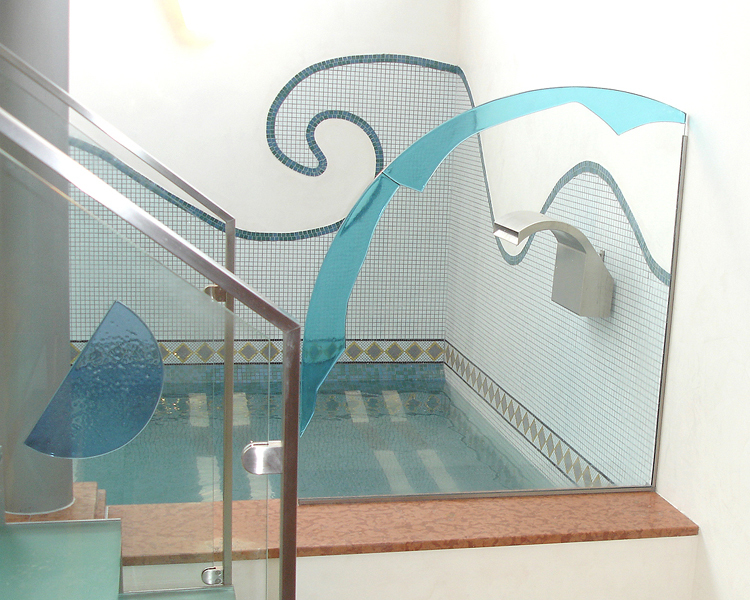 The adhesion technique can be combined with other techniques such as the Fusing technique, digital direct printing, glass painting, airbrush or sand-blasting techniques etc.